We recently had a special wedding in our family and I wanted to make a special shawl for the bride. 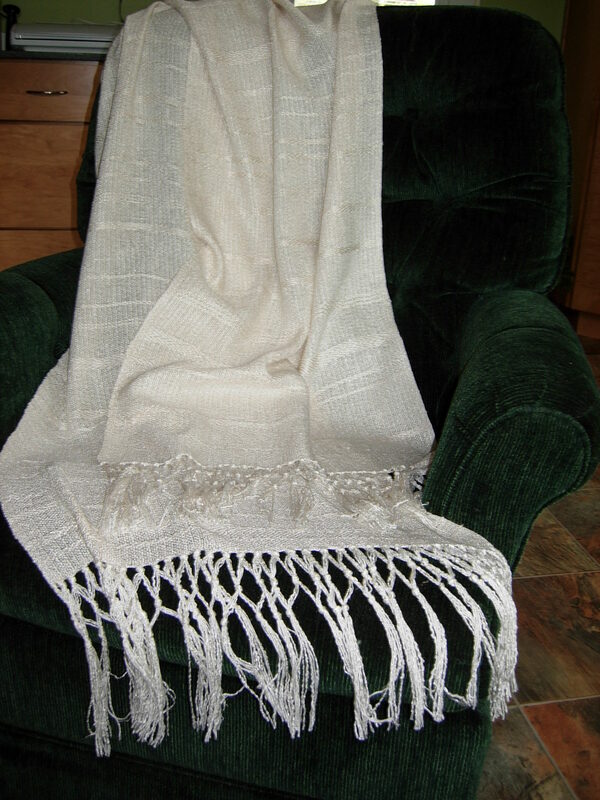 I had some sumptuous off-white 16/2 spun silk yarn that I knew would provide a lovely sheen and luxurious drape. 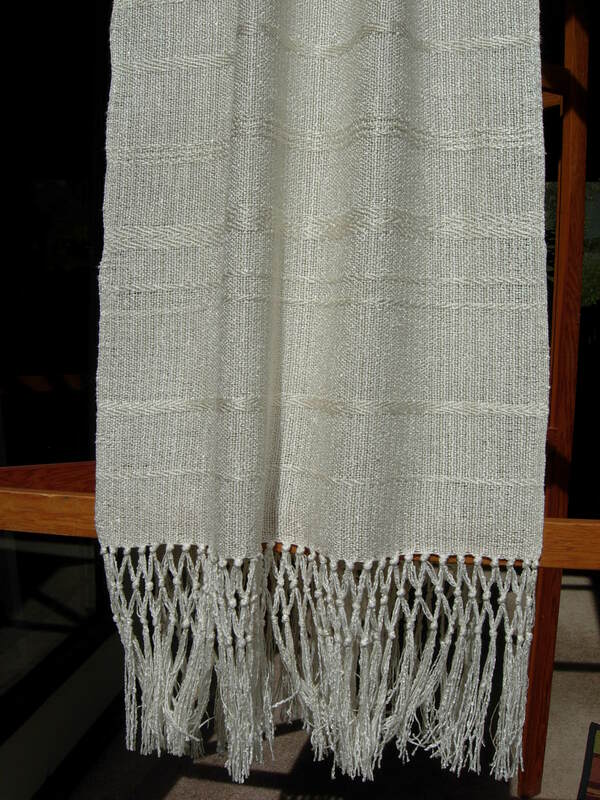 I used a mixture of 5/2 perle cotton, and 2 textured cotton/rayon blends as the warp. I wanted it to be sheer so I wove it in plain weave. Plain weave, however, does not let the beautiful sheen of the silk show to its best advantage. So, I randomly wove sections of twill which allowed that silk to float over the warp threads allowing them to shine. 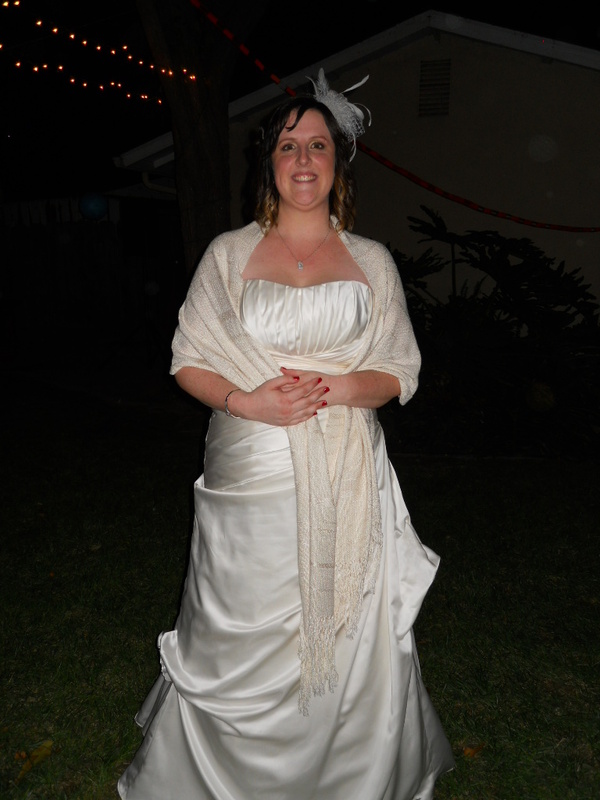 The end result was a lovely bride in a shawl that prepared her for any chill the evening might bring.